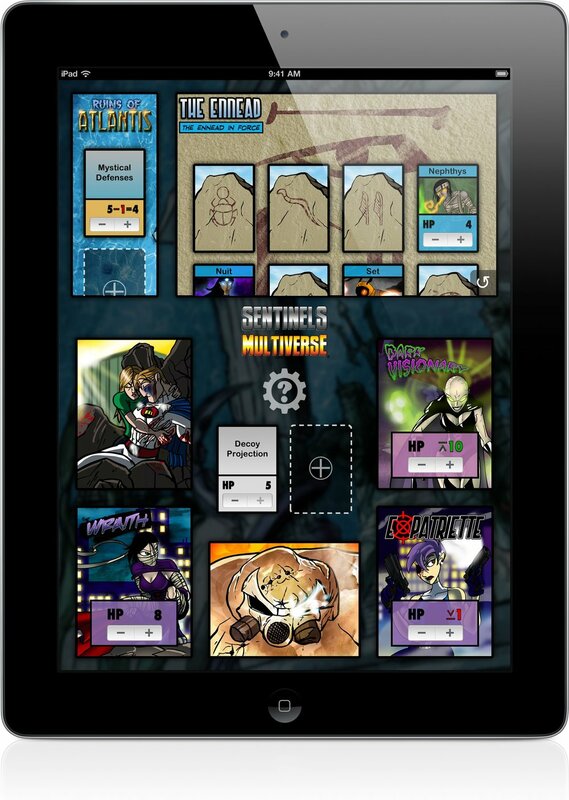 It will be one year ago tomorrow that we first released Sentinels of the Multiverse: The Video Game as a finished product. But it was more than a year before THAT that we began work on it. In honor of tomorrow, we’re taking a look back at the earliest days of The Sentinels’ journey into the digital world. 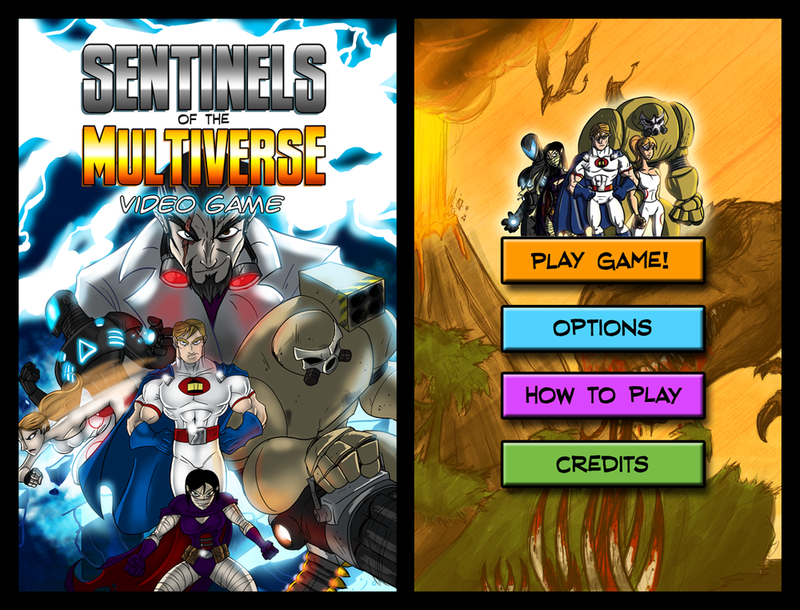 We first met Greater Than Games and learned about Sentinels of the Multiverse at PAX Prime 2011. John started playing the game and saw immediately that a player aid app would be useful. 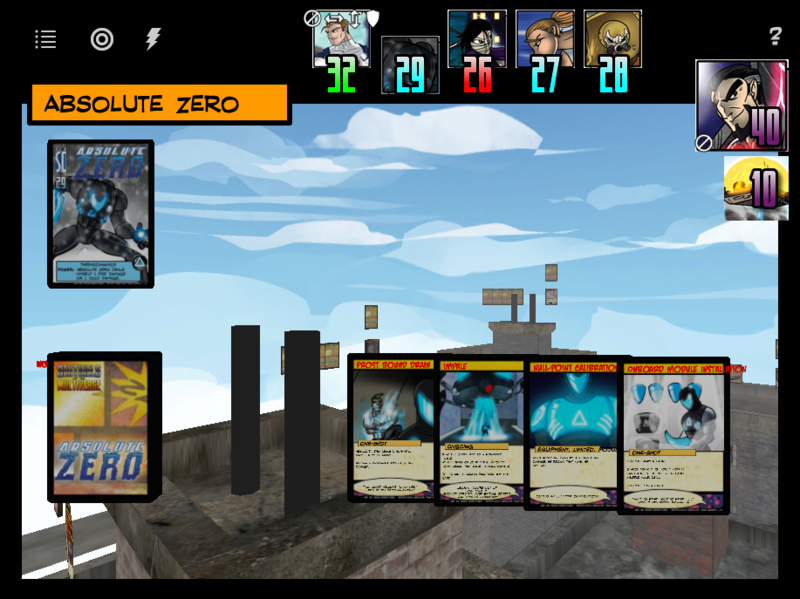 We released Sentinels Sidekick on the App Store in May 2012. It started as a very simple hit point tracking app for just 99 cents. We continued to improve Sentinels Sidekick for about a year before we approached Greater Than Games about using the game artwork right in the app. That was when the app got a really nice facelift, as well as more new features like effect tracking. As it still does today, the App Store page included a usage photo taken on John's table. 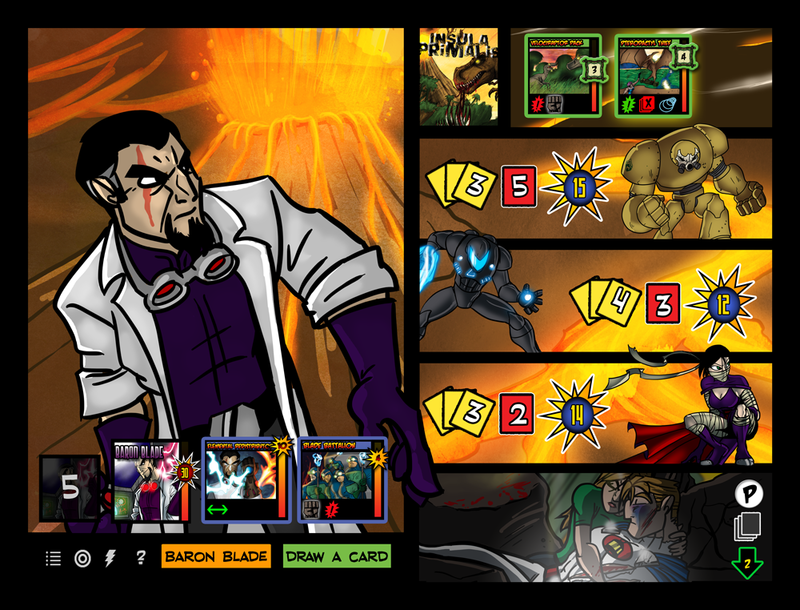 The original edition of Sentinels of the Multiverse included a mechanic where the maximum HP of cards could change. Sentinels Sidekick supported changing that as well as HP. Without artwork we had to be creative with how we differentiated decks. 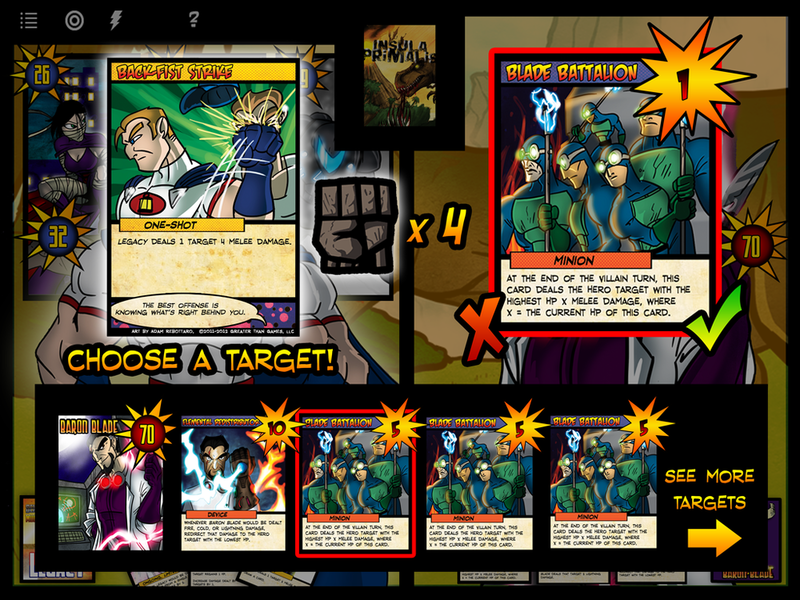 Each deck has a unique color and font choice, and the environments tint the background. Our glorious first Tools popup with contemporary iOS 5 styling. The arrival of the official artwork! Target artwork would show up in a later update. After working directly with us for Sentinels Sidekick, the folks at Greater Than Games decided we might actually be the right kind of people that they could trust to take the full game into the digital realm. In the summer of 2013, we came to an agreement and we began creating a prototype that could be used as a proof of concept. Try not to laugh at how different this is from the final version that shipped a year ago! In late 2013, we went through the LaunchHouse startup accelerator in Cleveland which helped us hammer out whether we could really make a go of being a “digital tabletop” studio (short answer, we can). That led us to raise the funding to create the full game. In 2014, we fully dug into the prototyping and iteration that eventually lead to the 1.0 release (for iPad and Android tablets) on October 16th, 2014. Take a walk down memory lane with us below. Some of what you’ll find has never been seen outside the hallowed halls of Handelabra Games! An early prototype concept of the "new game" screen showing the match you are about to play. An early idea of what the play field might have looked like in a more "literal" interpretation. 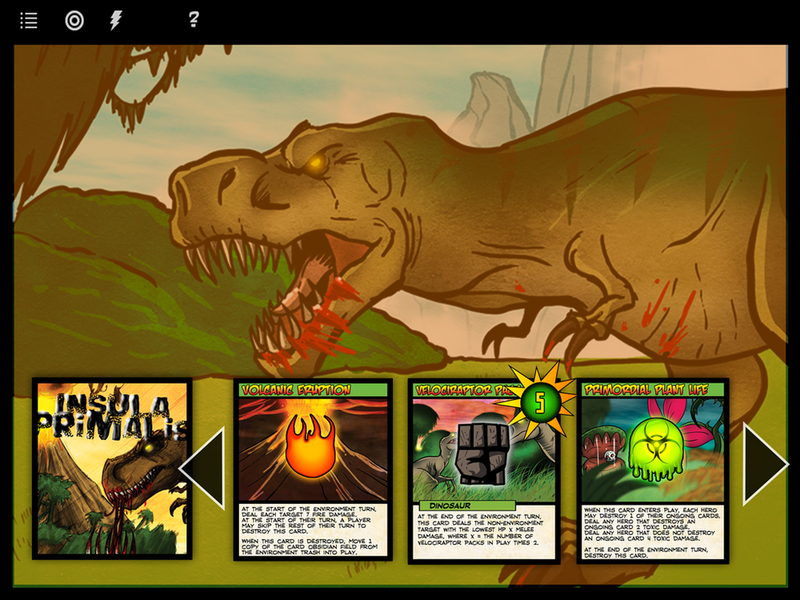 Our very first play a card UI! 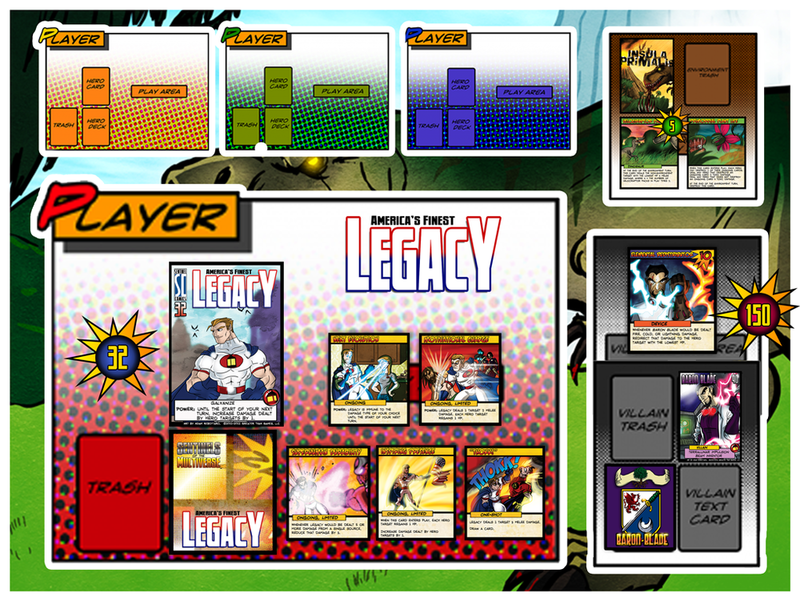 An early prototype showing the player view and overview. The first storyboard of the game start screen. It looks pretty familiar! At first, we imagined the environment taking up the entire play field on its turn. We landed on it only taking up one page. This is closer to what we ended up shipping. You can see that we stuck pretty close to this concept for villain turns. The layout regarding where everything else ended up changed a bit. This early storyboard had the active hero eclipsing the team behind them. This proved a bit too technically difficult to do well. The first real graphical representation of the game start screen. It didn't ship in 1.0, but we got to it eventually. This concept looks really cool but we couldn't find a way to do it that also worked really well for gameplay. This is starting to look a bit more like what we shipped. You can see the "panels" idea really coming together. The thought bubble concept came to us early as a way to present info to players on demand and efficiently. Here you can see not only target selection but the beginning of the "small card views" that would eventually become the primary way to manipulate cards in the game. At first we considered different views for actions like target selection vs discarding. With discard, we ended up just allowing you to drag cards to a trash. We spent a lot of time iterating on the environment turn since it acts like a player, but isn't. Here it's on the opposite side, but you can also see the small cards evolving into something closer to what you see today. The main menu spent some time at the bottom of the screen while we were iterating. 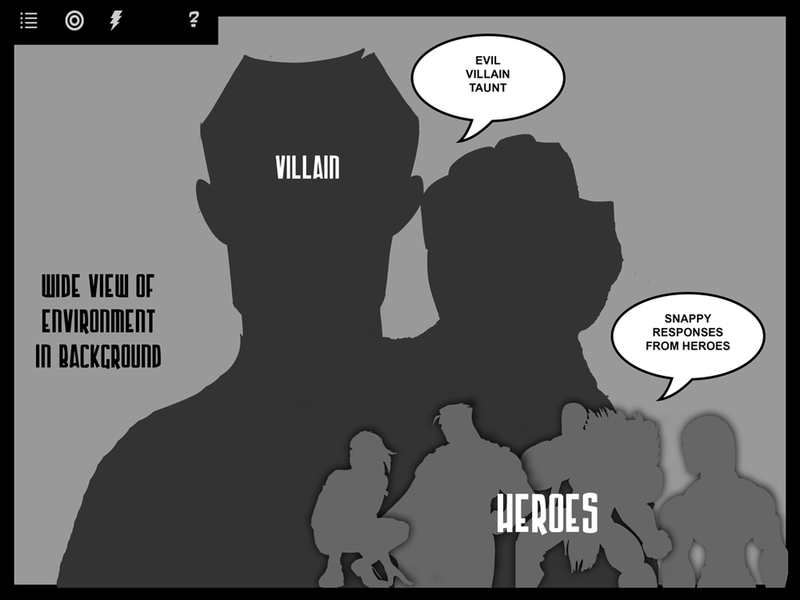 You can also see some early ideas for the hero panels. A really off-the-wall environment concept where nothing else is happening on screen. After some deep thought, we decided you probably didn't need to see the credits after every game. Evolution of small cards, including iconography. 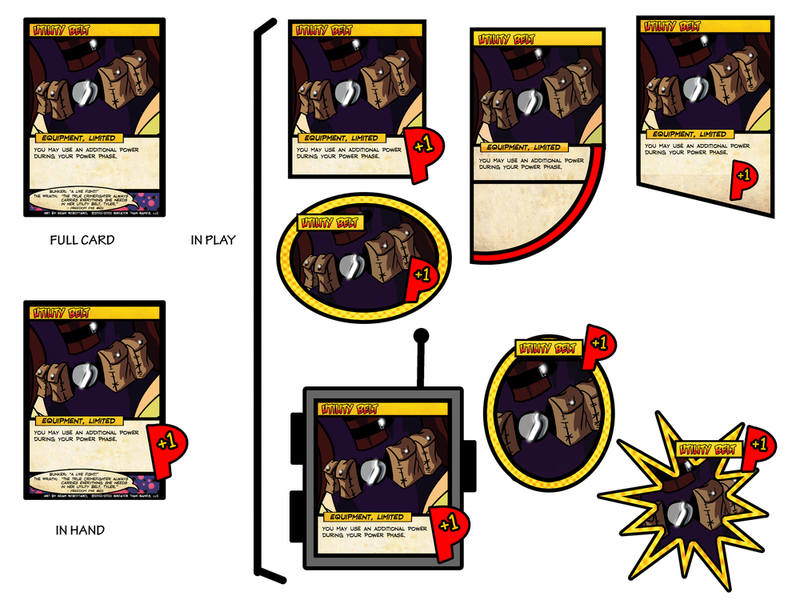 More iteration on iconography and hit point counters. One of our first concepts for selecting which decks to play. We ended up staying pretty close to this idea in the final version. A completely different idea for how to choose decks. Our issue with this was expanding it for expansion content. This concept is fairly close to what we ended up with in the initial version of the app, including the dynamically updated "news" section. Many of our ideas for the main menu included a lot of box art and comic book cover elements. This concept includes all of the elements that the Multiverse screen still has, but in a different arrangement. 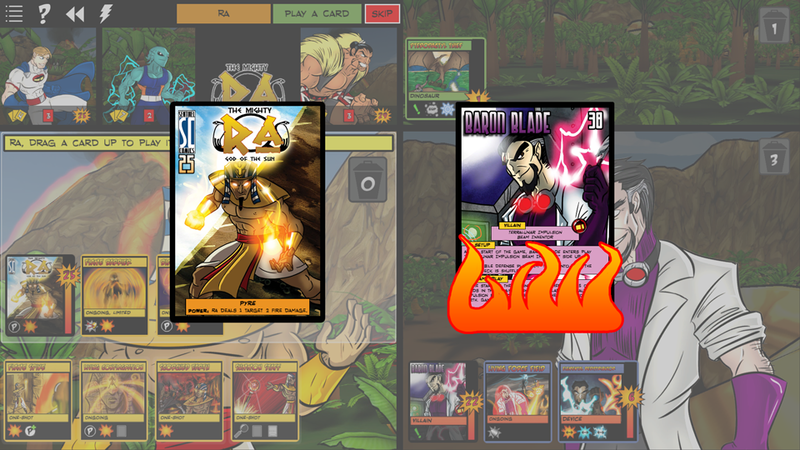 At first, we considered having a very focused "play view" and a separate "overview" based on an actual tabletop. We decided to mix the two into what we ended up shipping. We decided to leave out the overview and see if players wanted it. We received exactly zero requests for such a thing, so it seems we made the right decision! Here you can see many different ideas we played with for "small cards." No bad ideas in brainstorming. One idea we had was to make the first hero a "team leader" and have the game opening screen only show a face-off between the villain and one hero. Another face-off concept. Mortal Kombat anyone? Some early work on the damage animations. Or as Jeremy calls it, "hot damage." Working on some z-order issues.. This one ended up being pretty close to the final version. Early 3D work on the island. This was the first environment we built and it was quite a learning experience. A wide shot of the entire island.